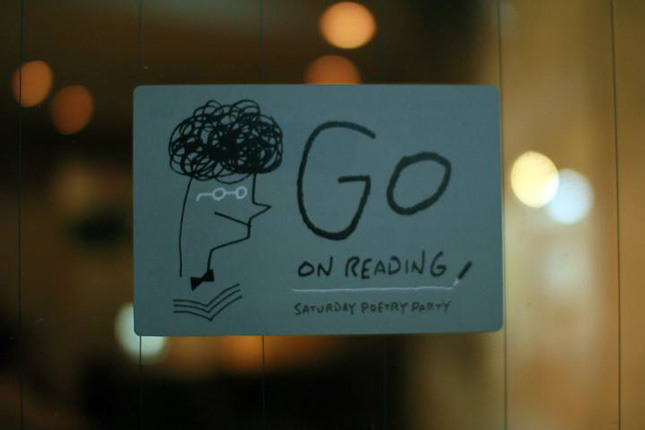 The poetry party “GO ON READING” is my solo recital. 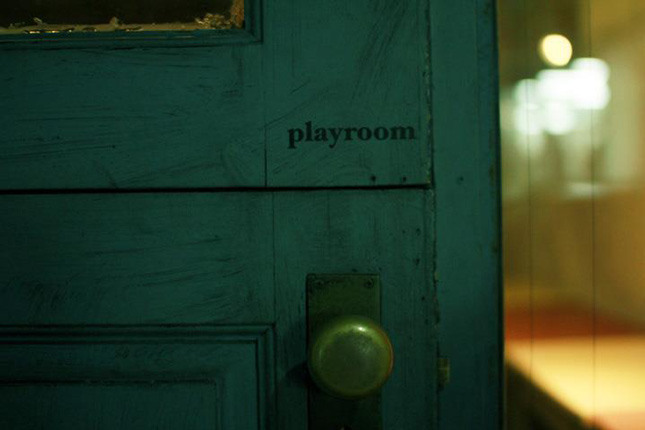 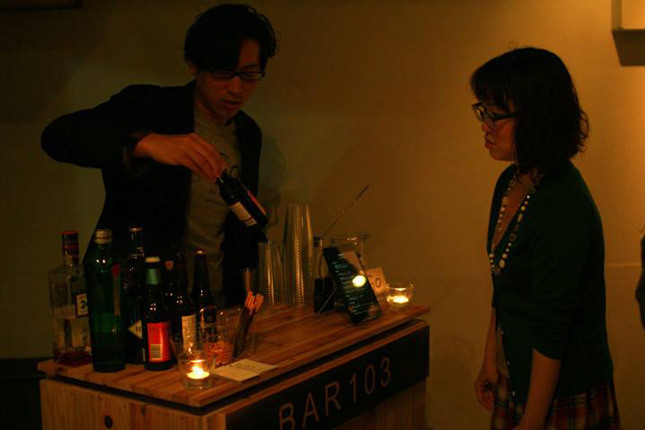 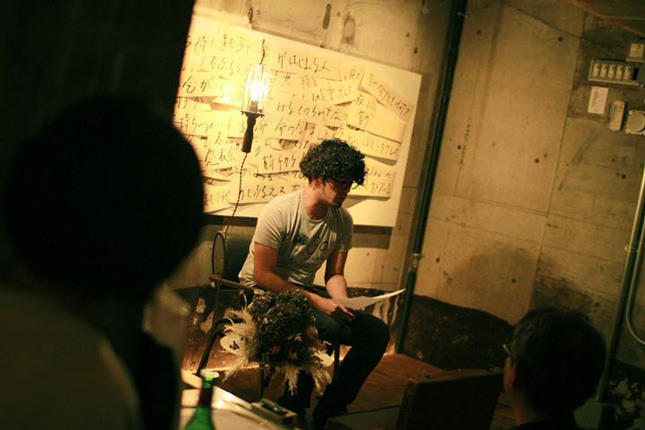 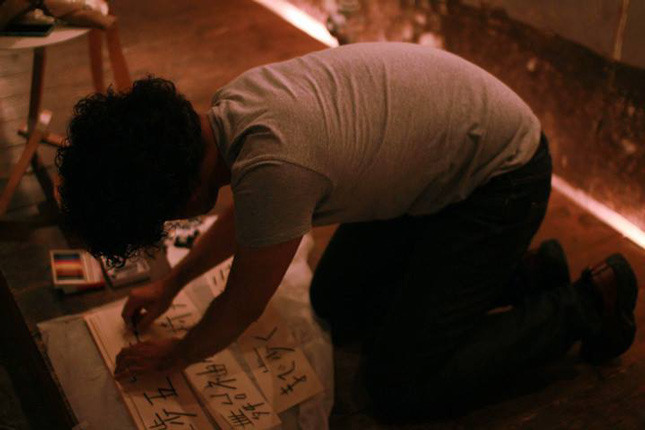 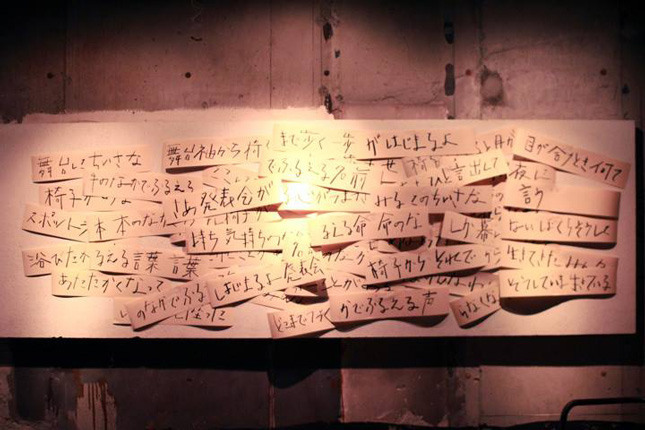 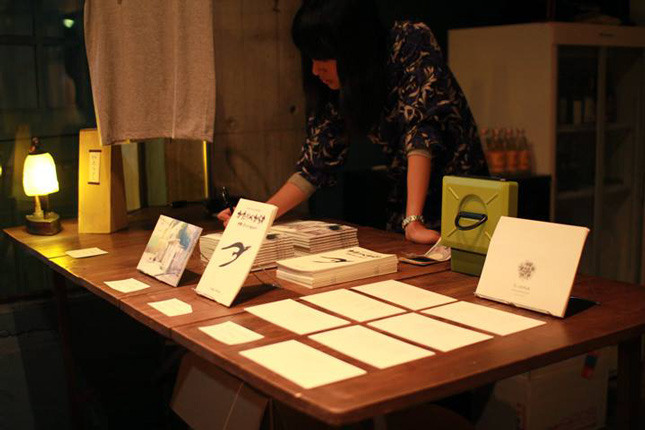 This time, it was held at a art space “playroom” in Shibuya, Tokyo, on the 26th of October 2013. 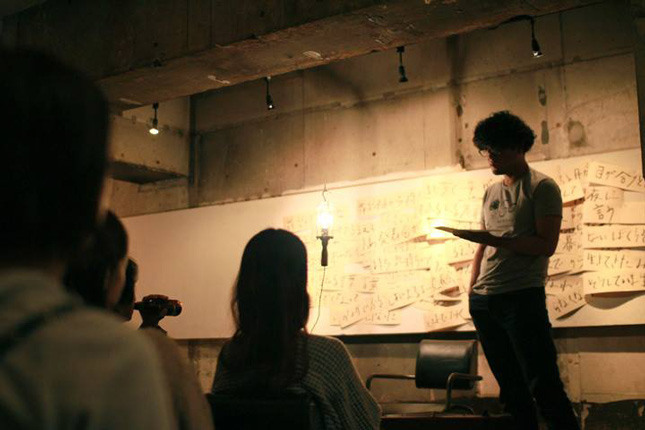 My poetry party consists of two major parts. 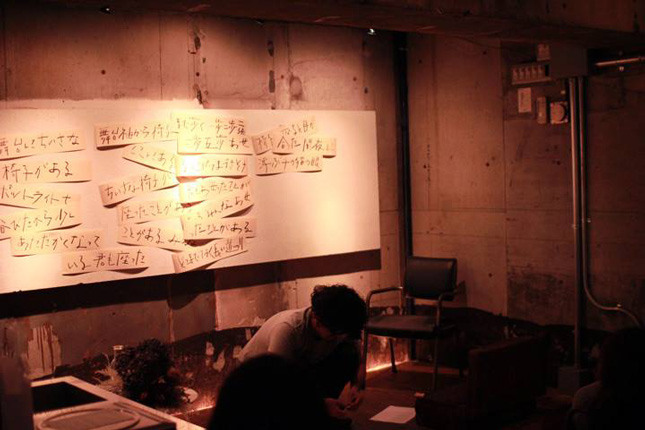 One part is poetry installation, and other part is poetry reading. 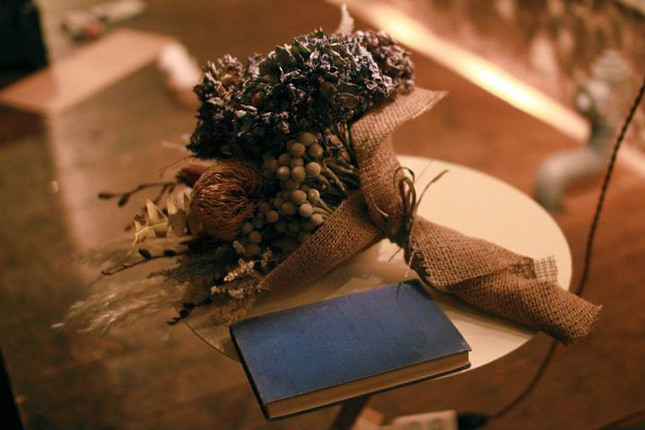 This time, I didn’t want to do something unnecessary for poems, and I wanted to do the minimum essentials for poems – Writing and Reading. 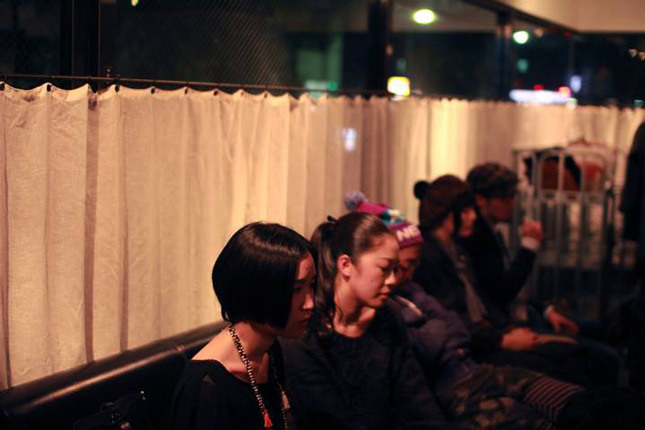 To my delight, the party became full. 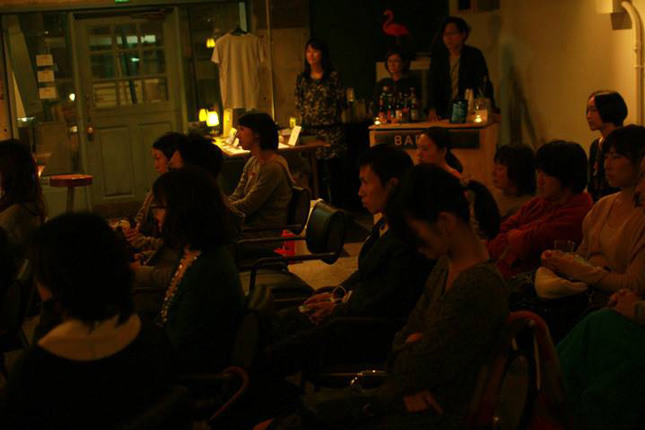 While I wrote and read my poems, the audience closed their eyes and breathed in every words. 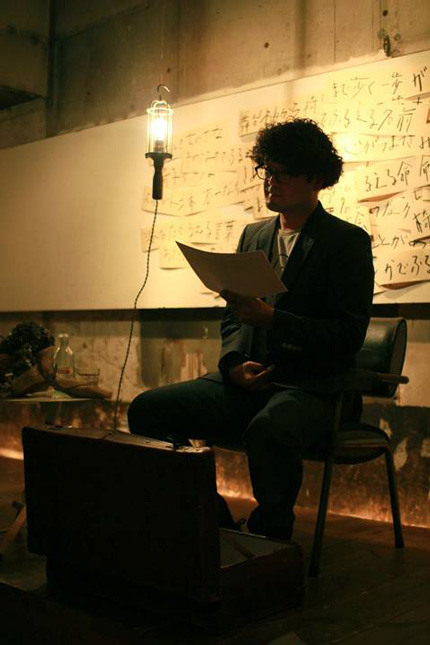 It was so delight for me that the audience said to me that every poems and the performance were so wonderful. 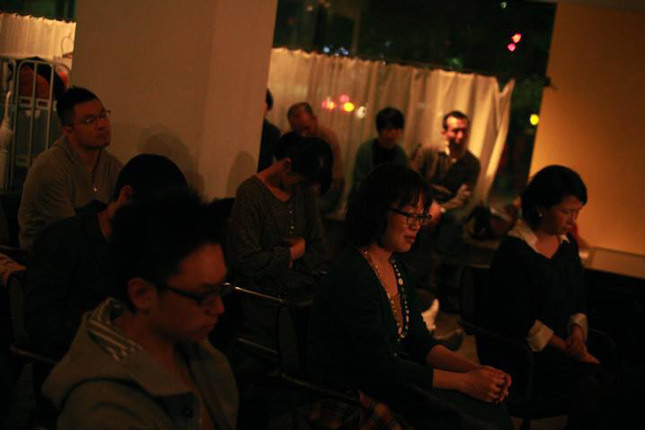 I appreciate the fact that all participant have joined the night.